00:00 | Cusco (Cusco region), Oct. 25. 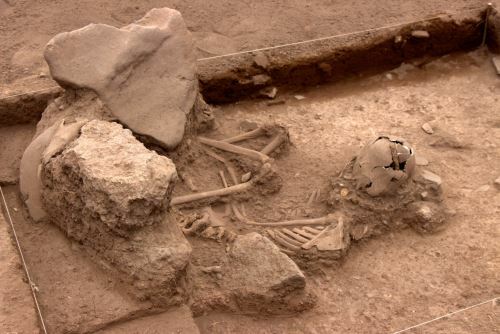 Experts from the Decentralized Culture Directorate of Cusco (DDCC) have unearthed two human burials —dating back 3,000 years— in Marcavalle archaeological area comprised in South-Andean Cusco region. According to research project director Luz Marina Monrroy, the first one belongs to a person under the age of 20. The bent body features cephalic modifications and was surrounded by a stone structure. Furthermore, a perforated golden circular sheet —for ornamental purposes— was linked to the skull. 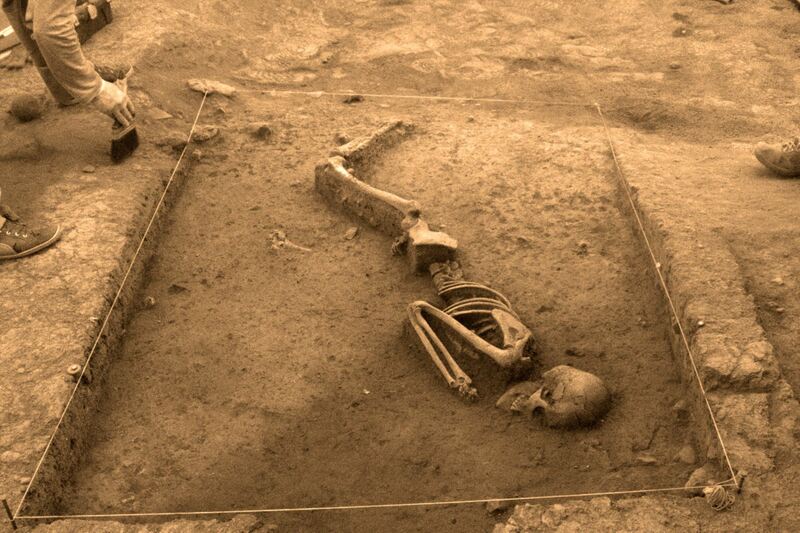 The complete skeleton of a young individual —lying on its side— was discovered in the second burial, located a few meters from the first one. Diverse cultural items —including obsidian pieces— were found close to it. 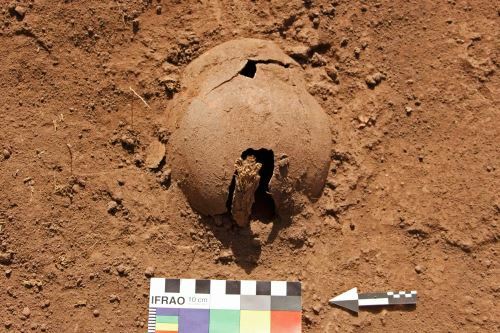 "These findings belong to the formative period; that means, approximately 1,000 BC, which confirms Marcavalle holds the first human burials unearthed in Cusco's Valley (...)," the archeologist expressed. 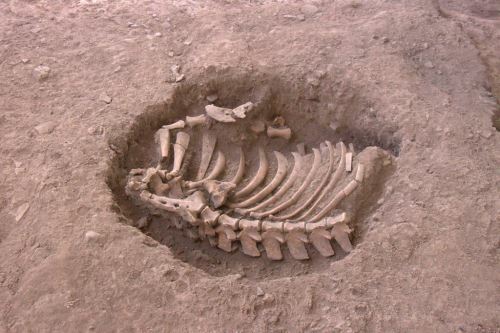 Among the five excavation sites in the area, DDCC researchers have also discovered the burial of a South American camelid —suspected to be part of a sacrifice— in a circular well, the oldest one found in Cusco. Likewise, evidence of a lithic workshop has been discovered, as well as architectural segments composed of chambers, stone walls, and remains of an elevated platform. Fragments of decorated and painted ceramics, with incisions showing human faces, bone instruments, carbonized residues of farming products, and stone mortars were also seen at the archaeological site. The project has been scheduled to run thru end-2018, thus researchers will continue to dig in accordance with the inter-institutional agreement signed between the DDCC and Cusco's Superior Justice Court. Both organizations work together to protect Marcavalle's cultural heritage.